The faded green copper domes of the Church of the Great Martyr, St. George the Victorious, rise above the skyline, serving as an impressive landmark to all travelers on the 401. 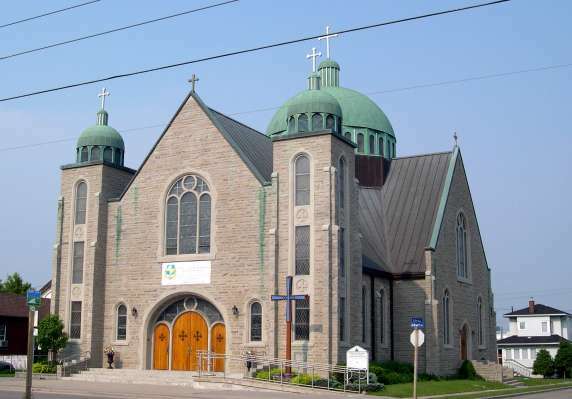 Set in the heart of Old Oshawa, on Albert Street, the church has long been the spiritual home for Ukrainian Catholics living in an area stretching between Scarborough and Kingston. The parish itself was established circa 1912, with the blessing of Bishop Nikita Budka, shortly after immigrants from Galicia and Bukovinia first settled in the area. For the next 40 years, the first church, built in 1916/17, was a religious and social center for Ukrainians, as well as other ethnic groups, who lived and worked in the surrounding community. Following World War II, Oshawa received great numbers of Ukrainian immigrants, many of whom had served as slave labourers in Germany or had otherwise been forced to leave their homeland, and had chosen to make Canada their new home. 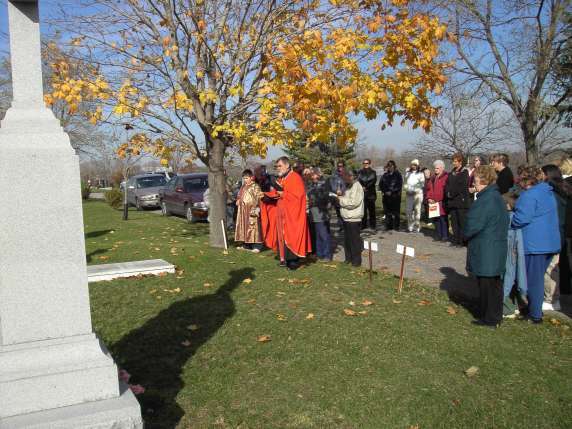 As the church became too small for the growing community, land was purchased on the other side of the street, and construction of a new church was begun in 1955, with Bishop Isidore Borecky blessing the cornerstone. In the 50 years since the completion of the new temple, the church of St. George the Great Martyr, has provided spiritual nourishment to countless Ukrainian Catholics who have been baptized, married and buried here. In recent years, the parish has welcomed a new wave of immigrants from Ukraine and Poland, as well as English-speaking newcomers, all of whom contribute in new ways to the rich mosaic which is the history and make-up of this parish. Over the years, the parish has developed well beyond the doors of the church. Fr. John Pereyma, who served here for 40 years, initiated not only the building of the new temple and a fine rectory, but also the establishment ofSt. Wolodymyr and Olga Cemetery. He also devoted his time towards a campaign to build a Catholic elementary school within the community, which resulted in the opening in 1964 of John F.Kennedy School (later renamed Monsignor John C. Pereyma Catholic School and turned into a secondary school). In 1982, as a project to commemorate the millennium of Christianity in Ukraine, the parish built Lviv Hall on Jackson Ave( now Lviv Boulevard). 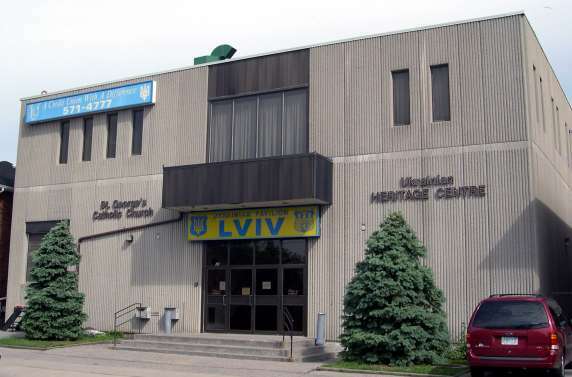 The hall serves as a cultural center for the community, is a popular facility for weddings and many other events and also houses the Ukrainian Credit Union. 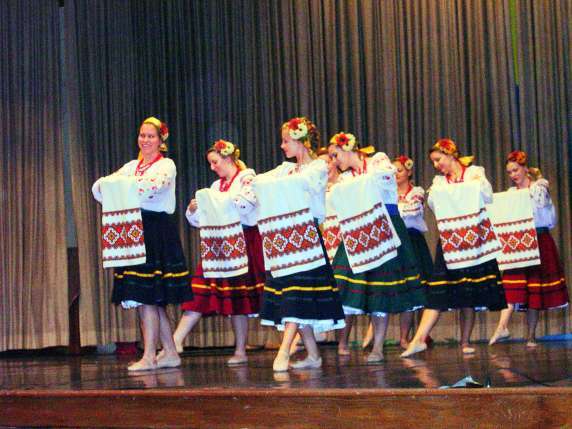 Every year in June, duringFiesta (Oshawa's week-long multicultural festival), the hall is a flurry of activity, welcoming thousands of visitors who come to enjoy delicious Ukrainian food and to watch spirited dance performances by the parish's own Lviv Dancers. 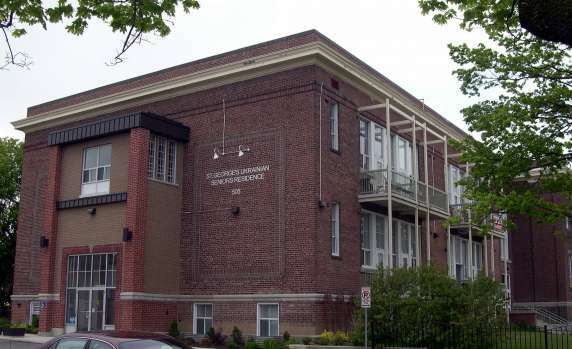 Inspired by a desire to provide for the needs of the aging members of the community, the parish initiated a new project in 2001 - the establishment of St. George Seniors' Residence on First Ave., just a block away from the church. Unfortunately this project was fraught with many serious financial difficulties and so in 2009 the building was sold. However, those who now live in the residence appreciate the blessing of living independently, close to the church and the community they have known and loved. Many priests have served this parish since its inception almost a hundred years ago, each one contributing in his own way to the development of the parish community. From 2005 to February 2012 the parish was served by Fr. Bohdan Bilinsky and Dobrodiyka Cornelia, who were assigned here in September, 2005. 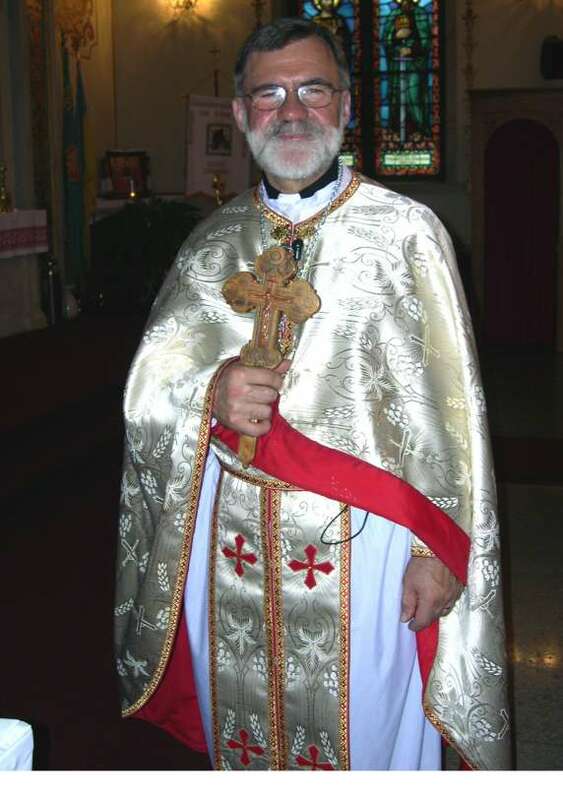 In 2008, the parish had the joy of witnessing the ordination of Sub-Deacon Andrija Petresin to the diaconate and subsequently to the priesthood. In the spring of 2009, the parish family was joined by Fr. Orest Ostapowich and Dobrodiyka Lidia, who assisted in the parish until February, 2012. In February, 2012, a new pastor was assigned to St. George Parish. Fr. Dmytro Hancharyk and Dobrodiyka Myroslava along with their two children, Stepan and Sofiya, have taken up residence in the parish rectory and are currently serving the parish.